Rohit Shetty and Farah Khan join hands for Bollywood. HomeRohit Shetty Farah KhanRohit Shetty and Farah Khan join hands for Bollywood. Rohit Shetty and Farah Khan are all set to collaborate for Bollywood’s biggest action-comedy film. The project will be helmed by Farah, who has earlier directed films such as Om Shanti Om and Main Hoon Na. Farah shared the news on Twitter and mentioned her excitement on being a part of the journey. She tweeted, When the Universe conspires to give u what you couldn’t even imagine ..excited & Emotional both,to be on this journey with my dearest RohitShetty. together with the Lov we hav Films,we will create the Mother of All Entertainers. Meanwhile, Rohit Shetty is prepping up for his next directorial venture, Sooryavanshi. The Akshay Kumar-starrer is going to be a cop-drama, just like Singham and Simmba. The action-comedy will be helmed by Farah Khan for Rohit Shetty's production house Rohit Shetty Picturez. 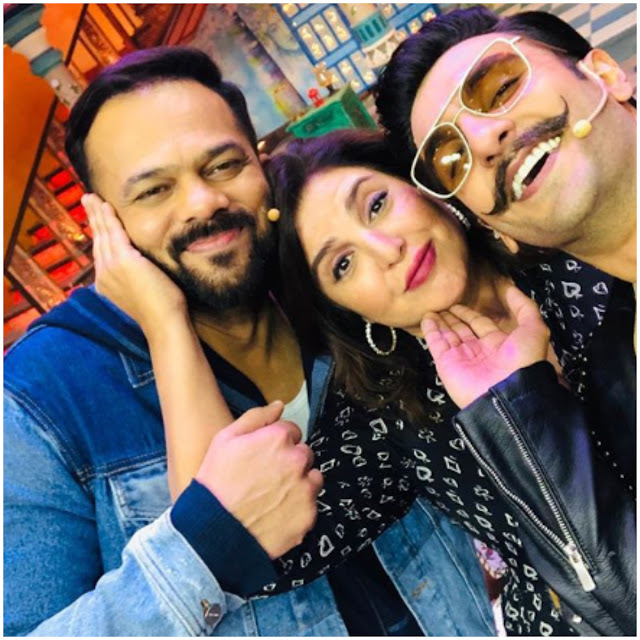 The production house had earlier produced Ranveer Singh starrer Simmba in association with Dharma Productions.